Butterfly educational kits are an excellent way to observe the life cycle of butterflies and experience their metamorphosis firsthand! Our caterpillar rearing and chrysalis emerging kits are perfect for the classroom, as well as 4-H, Science Fair, Boy Scout and Girl Scout projects – even birthday parties! We can customize kits to meet your classroom or individual needs. 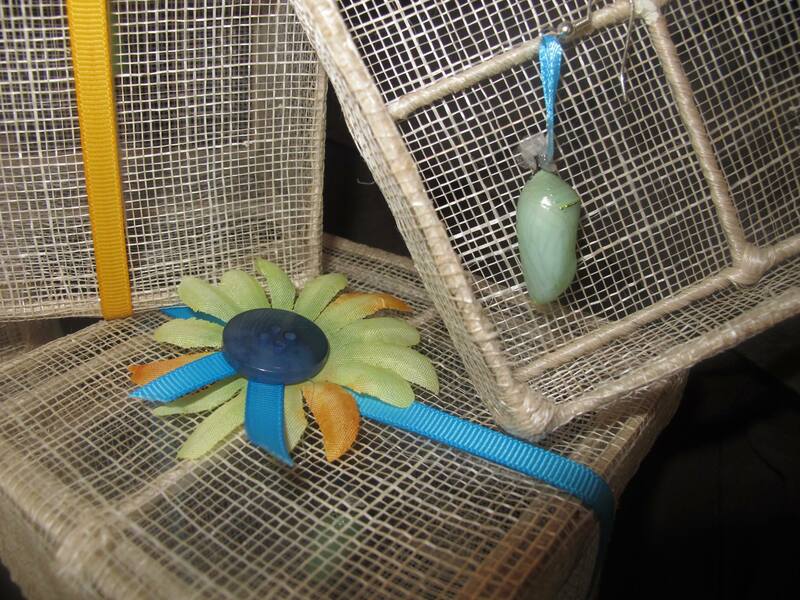 These kits have two caterpillars on a host plant in a re-usable cage with a book and rearing instructions. These kits contain one chrysalis suspended from a ribbon in a small sinamay box or re-usable bug box with a viewing window and instructions. 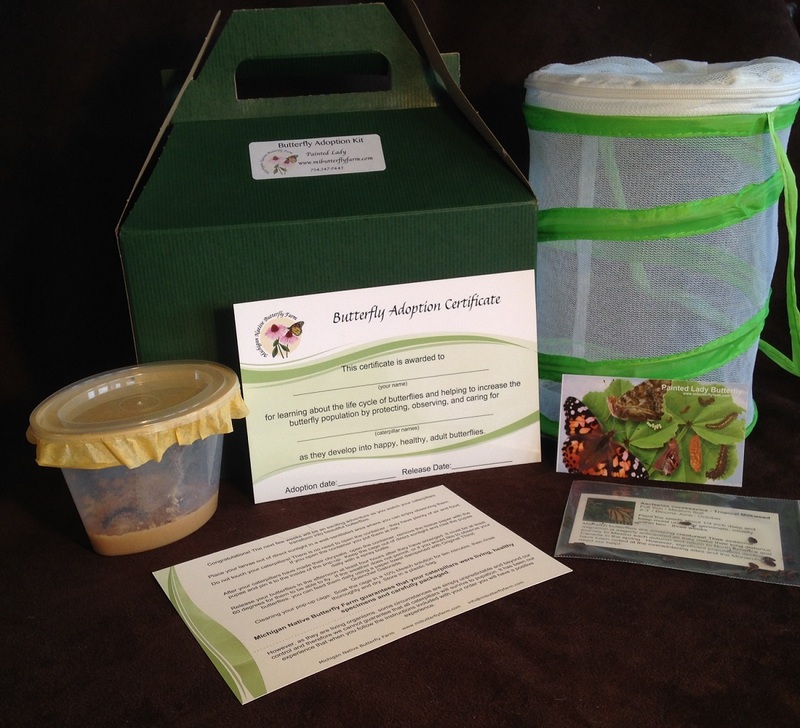 Michigan Native Butterfly Farm guarantees that your caterpillars were living, healthy specimens and carefully packaged for safe arrival. However, as they are living organisms, some circumstances are simply unpredictable and beyond our control and therefore we cannot guarantee that all caterpillars will survive to pupation. It has been our experience that when you follow the instructions included with your order you will have a positive experience. We do not replace caterpillars unless they DO NOT arrive as living specimens. In the unlikely event that there is a problem we must be contacted within four hours of receipt and inspection of your order. Replacements will not be provided unless we are contacted immediately and provided with a date stamped photo. Many factors influence the complete metamorphosis of a butterfly and for those reasons we cannot guarantee the successful emergence of each chrysalis. Should you experience problems after the arrival of your shipment, please contact us so we can trouble shoot and try to determine the cause of the problem.